The Peoples’ Bank of China has just announced a payment-versus-payment (PVP) system for Russian ruble and Chinese yuan transactions. The stated aim is to reduce currency risks in their trade. The only conceivable risk would be from the US dollar and potential acts of US Treasury financial warfare to damage Russian-Chinese trade which is becoming very significant in volume and value. By December it should reach $80 billion, a 30% rise over 2016. Yet there is more to this seeming technical move by China and Russia than meets the eye . Earlier termed the New Economic Silk Road, the BRI is a vast network of high-speed rail linkages being constructed criss-crossing the countries of Eurasia including Central Asia, Mongolia, Pakistan, Kazakhstan and, of course, the Russian Federation and extending to Iran, potentially to Turkey and East Africa. Altogether at present some 67 countries are participating or have asked to join the ambitious project whose total cost could run into trillions of dollars and will transform global trade. HSBC estimates that the BRI infrastructure project, which today encompasses countries generating almost one-third of global GDP, will generate an additional $2.5 trillion worth of new trade annually. This isn’t chump change for the world economy. It’s a game-changer of the first order. 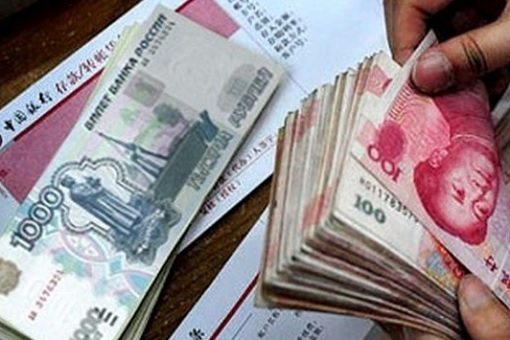 The Peoples’ Bank of China has just announced a payment-versus-payment (PVP) system for Russian ruble and Chinese yuan transactions.